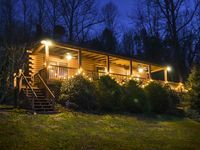 Property 1: Updated Landrum Log Cabin on 10 Acres w/Mtn Views! The Boathouse is located in a secluded cove on Lake Lanier . Property 5: The Boathouse is located in a secluded cove on Lake Lanier . Lovely barn apartment in Tryon hunt country - includes mini donkey and luxury! Property 6: Lovely barn apartment in Tryon hunt country - includes mini donkey and luxury! Lakefront Home 20 Minutes from TIEC, FEI World Games! Property 10: Lakefront Home 20 Minutes from TIEC, FEI World Games! Property 11: Perfect cottage near the Equestrian Centeri at a fabulous price!! 20 min to Tryon Equestrian Nature Center. Pet friendly. CLEAN! Furnished. Property 14: 20 min to Tryon Equestrian Nature Center. Pet friendly. CLEAN! Furnished. Quiet mountain home at Lake Lanier, just minutes from WEG at TIEC, Tryon NC. Property 22: Quiet mountain home at Lake Lanier, just minutes from WEG at TIEC, Tryon NC. Time to relax on our porch! Property 26: Time to relax on our porch! Bungalow located in downtown Tryon, N.C.
Property 31: Bungalow located in downtown Tryon, N.C.
Property 32: Garden Cottage, 1940's Updated Vacation Cottage, Awesome Carolina Room! Property 37: A Solid Pick For Your Next Stay! The BLUE RIDGE CABIN at STONELEDGE... Your Perfect Mountain Getaway Awaits! Property 38: The BLUE RIDGE CABIN at STONELEDGE... Your Perfect Mountain Getaway Awaits! 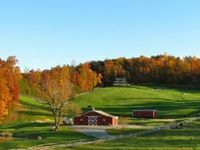 Property 48: Elysium Lodging - Paradise in Western North Carolina! My girlfriend and I recently stayed at on the property for a weekend get away. Viewing the pictures online of the property we thought we knew how amazing it was going to be however once we arrived the pictures still does not do it justice! Not only is the property breath taking but the bed is extremely comfortable if you can manage to get off of the cozy couch! It was raining when we first arrived so our meet and greet with Lynn was short however on our final day, after sitting on the porch swing and watching a bird build a nest, we were able to meet and she is amazing! So nice, so helpful and caring. The best part is that you can tell that&rsquo;s who she really is! If you appreciate nature and the peace it offers I highly recommend this cabin getaway. We are already planning our next trip! Also we cooked supper at the cabin and the kitchen is already very well stocked so we only had to buy the actual food! Can&rsquo;t say enough about how amazing our trip was and how amazing our stay was. Can&rsquo;t wait to go back! The owner was informative and polite in his emails. The property was clean and cozy. All of the amenities worked well. I cannot say anything bad about this property!